From slot machines to online pokies - How to play for real money? To say that slot machines have come a long way since their conception in the late 1800’s is a severe understatement. Increase in the popularity of casino gambling along with epic advances in technology has resulted in an expanding business that sees pokies at the forefront of the online gaming industry. With more and more players now turning to the Internet for their pokies fix, online casinos are starting to lead the race when it comes to state-of-the-art gambling. 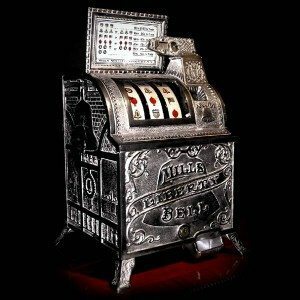 The first gambling machine was invented by New York partnership Sittman and Pitt in 1891. Based on a game of poker, the machine required the player to pull a crank in order to spin five drums to reveal the winning “hand”, quickly becoming popular in bars around America. With no official payment method in place, it was up to the establishment offering the game to determine the prizes, with winnings ranging from free drinks to cigars. Not long after, Californian man Charles Fey created the first slot machine that closer resembled the ones we would come to know today. Fey’s machine consisted of three reels containing five different symbols; diamonds, hearts, horseshoes, spades and liberty bells, hence earning the name The Liberty Bell. The Liberty Bell machines contained an automated payout system and the game became so popular that despite many American states attempting to ban it, the machines continued to be manufactured and started making their way overseas, paving the way for the casino industry to follow. In 1980 the first video slot machine was released; the biggest innovation in the slot machine business since Fey’s early invention. The market continued to expand, with Australian pubs starting to house pokie machines in the early 90’s, to very mixed reactions. Today you don’t have to go far to find a slot machine, with pubs, clubs, casinos and RSL’s around the country offering a collection of games. The rise of online gambling means that players now need to travel no further than reaching into their pockets for their smartphone, with the invention of virtual pokies presenting the future of gambling. As more and more politicians argue against the presence of the pokies in pubs and clubs, the Internet is fast becoming the more appealing option for computer savvy punters. Given the choice of heading out to the dismal pokies lounge at your local pub or RSL on a cold winter night to hang out with a bunch of strangers drinking watery instant coffee, or rugging up all cosy and comfortable from the convenience of your own home, we know what we’d choose. Playing online pokies offers not just convenience but so many advantages compared to playing at a land based venue. Better odds – odds associated with winning the pokies vary between each game, but playing online generally offers higher chances of landing a winning spin. 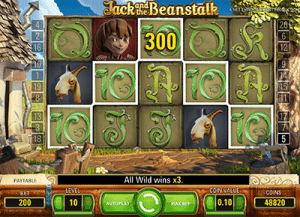 Improved odds are associated with the lower overheads required for a virtual casino to operate. Surveys have suggested that the payback percentage offered by live machines in Australia is around 90-93%, while online pokies offer a payback percentage of around 95%. Free spins – registering for a real money account with a reputable online casino is typically rewarded with a welcome bonus that includes free spins on selected virtual slot machines. Within each game, the free spin bonus rounds also have the potential to be highly lucrative, with special features and animation that bring the excitement levels up a few more notches. When was the last time a real pokies machine gave out free spins just for the hell of it? Bonus promos – leading online casinos are continuously offering awesome promotions, especially when it comes to the pokies. Whether it’s an enticing offer to celebrate the release of a new game, or just the chance to double your deposit value, online casino promotions give players the chance to boost your bankroll in a way a bricks and mortar casino would never dream of. Game variety – if you’ve ever stepped into a pokies lounge at a pub, RSL or casino floor in Australia, you’ll know exactly what machines to expect; the standard offerings including Indian Dreaming, Gypsy Moon, Queen of the Nile and Dolphins. While there’s nothing wrong with these games, online pokies blow these old titles out of the water, with such innovative themed games as South Park, Terminator II, Jurassic Park, The Dark Knight, Aliens and Dracula. There are literally hundreds of games to choose from, from progressive jackpot games to 3D pokies, with animation of cinematic quality and innovative special features. Betting options – online pokies offer a great range of betting options, making virtual play equally ideal for lower wager players and high rollers. The wager requirements differ between games, with spins starting from one cent to as high as $300 per spin. Although it may seem daunting to some, making the switch to playing the pokies online is easy. For those who aren’t confident with their computer literacy, very basic Internet knowledge is required. All you need to do to play virtual pokies is head to one of our recommended casinos and click on the long list of video slot titles on offer. Online casinos allow punters to play the games for free in demo mode, so all you need to do is click to start playing instantly. Games are available via PC, laptop, smartphone or tablet, with instant-play mobile games optimised for both Android and iOS. To play for real money bets, you’ll simply need to register for an account with the casino of your choice, which is easy to do and only takes a couple of minutes. Choose a safe AUD payment method (popular deposit options include Visa, MasterCard, Skrill, Neteller, Paysafecard (UKash), Flexepin and bank transfers) to load some funds to your account, and you’re all set. Playing online requires much less effort than getting dressed and heading out to your nearest casino or pub, cashing your notes into a cupful of dollar coins and sitting amongst the racket. It also saves money as there’s no need to pay for transport or drinks and you can play from the couch in your nightgown instead. For those who are concerned about security, our recommended casinos are all fully covered by a minimum of 128 Bit SSL Security encryption, ensuring player personal and financial details are protected at all times. 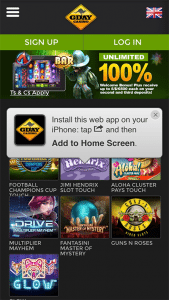 If you’re a pokie machine player wanting to make the switch to play for real money online, we recommend Royal Vegas Casino, which has the best range of Microgaming’s classic slots, video pokies, progressive jackpot machines and more available for computer, mobile and tablets – you just need a data connection to play online.